UPS has emphasised that SMEs, non-US operations, e-commerce and life sciences will underpin its expansion over the next five years. In a presentation given by CEO Dave Abney in New York, he outlined the four key areas that would drive growth. Whilst it is not overly surprising to focus on areas such as e-commerce and non-US domestic business, it does represent a significant change in direction for a company that traditionally has been very US orientated. 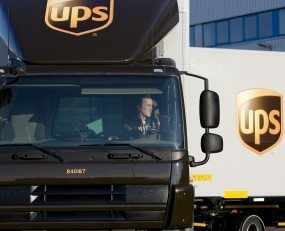 Looking at the issue of “International High Growth Markets”, UPS will be able to leverage its US hub and spoke structure to achieve a competitive position for traffic between the US and the rest of the world. However, its position on other international routes is less strong. To become truly international, UPS will have to spend a lot of money on new infrastructure outside the US and evolve a new tactical doctrine. This presentation seems to be an indication it is willing to do this. Similarly, for e-commerce, UPS is well placed in the US, with a complementary ground network that delivers a strong last-mile capability. That said, the profitability of such a network could be threatened by the ambitions of Amazon. Mr Abney also revealed an approach to cost reduction that laid emphasis on economies of scale and a leaner management structure. All of these are already important parts of UPS’ business, but not the dominant part. Amplifying the role that they play may not be entirely straightforward. The senior management team also emphasised that UPS would look to change its management culture by drawing in people from outside and looking to accelerate the adoption of technology. The former might not sound very interesting, however up until now UPS has been distinguished by its loyalty to those who have spent their whole careers at the company. The latter, it is planned, will boost operational efficiency in its core parcel handling hub operations by one third. UPS also hopes to increase customer involvement and loyalty through better transparency tools. The presentation by UPS was interesting and important, however it might be suggested that it had the feeling of being just the beginning of a significant change.